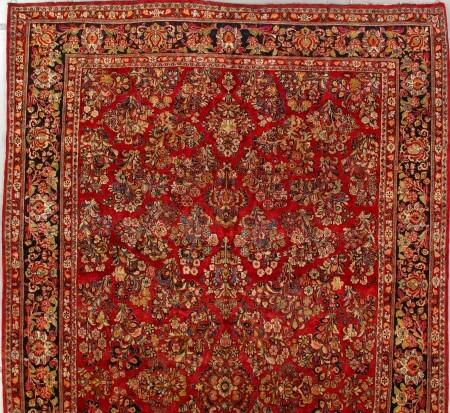 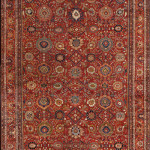 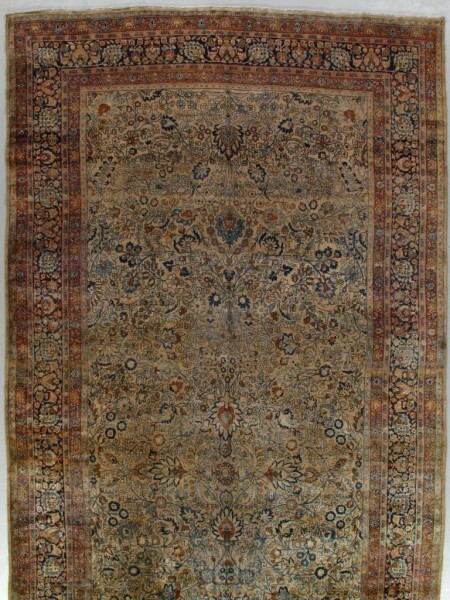 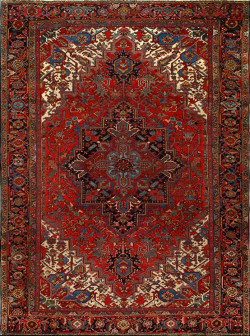 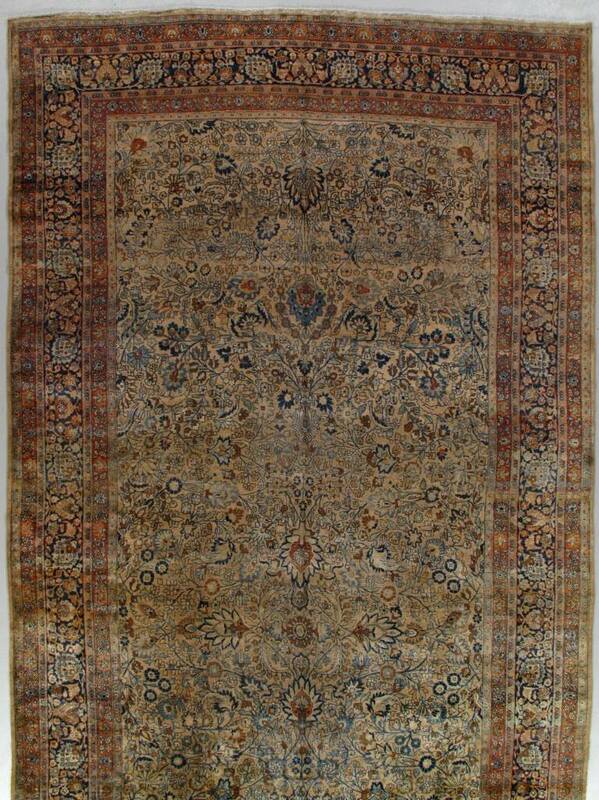 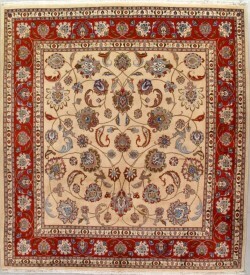 A subtle central axis unifies the complex floral pattern of this antique Mashed carpet. 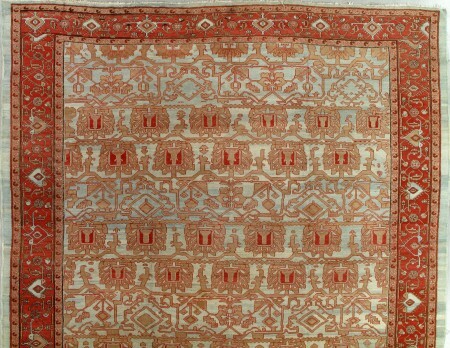 There is a skeletal central axis formed of four open work palmettes. 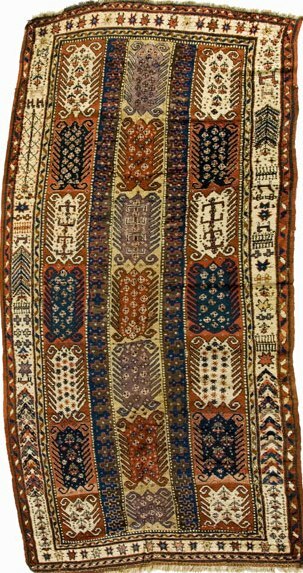 The dark blue border is closely filled with elements matching the field.